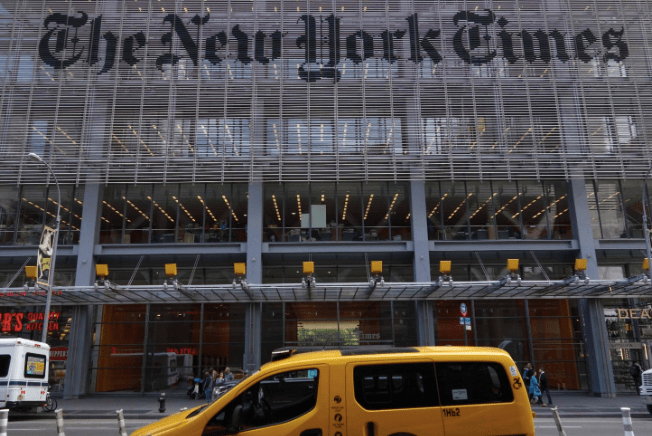 As the hard tracking staff at Sneak Adtack has dutifully noted, the New York Times is increasingly blurring the line between advertising and editorial. This entry was posted in Uncategorized and tagged Andrew Seaman, Arthur O. Sulzberger Jr., Campaign Outsider, Charles Duhigg, Columbia Journalism Review, Dean Baquet, Elisabeth Bumiller, Grey Lady, Half Moon Bay, Jeff Gerth, native advertising, New Work Summit, New York Times, New York Times Conferences, Nicholas Kristof, NYT Live, Paul Farhi, Ray Dalio, Reuters, Russian nesting ads, shenadigans, Society of Professional Journalists, State of the Cuisinart, T Brand Studio, Times Journeys, Times Store, Washington Post. Bookmark the permalink. Smug, “holier than thou” hypocrisy has been the NYTimes mode for the past few years and it is only getting worse. They think no one will notice it or their long-ago vanished reputation will save them or excuse them, but they are very wrong. They have become legends in their own minds, which is very dangerous mindset to have. The Times has become America’s Rorschach Test, Bill – no two people see the same thing. There was a scandal at the Washington Post a few years ago when the paper set up “conferences” to bring together journalists, and the government officials responsible for implementing the ACA, and selling access to them. This doesn’t seem much different. Right – I mentioned that at the end of the piece. Points off “completes tasks assigned,” Robert.